The Arapahoe Basin Ski Area expansion has been approved by the White River National Forest – doubling the size of the ski area. This decision will significantly enlarge the footprint of the ski resort, update chairlifts and add summer mountain activities. The largest item on the expansion is “The Beavers” project which is adding more than 330 acres of skiable terrain (now side country) and a lift to get into the expert terrain. The Beavers have always been a popular side country/backcountry destination for expert skiers and riders at A-Basin Ski Area. The present out-of-bounds region of the resort, some of which consist of north-facing chutes above tree line, steep wooded terrain and rolling features, is popular among backcountry enthusiasts. 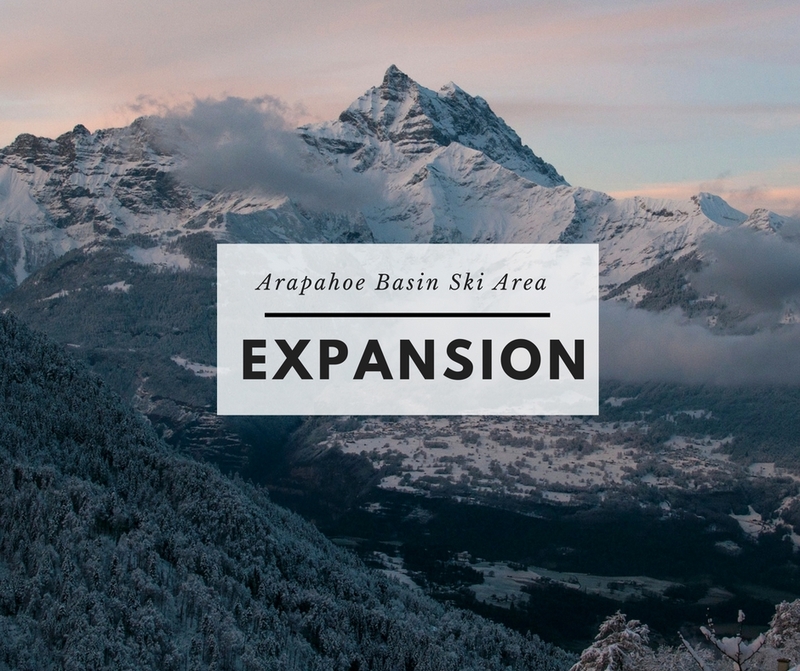 With this expansion, A-Basin will be able to capitalize on the terrain reducing the risk of skier triggered avalanches so more expert skiers and riders will be able enjoy the same terrain safely. And with an added lift, the ease to get to the terrain will be very beneficial. Additional improvements that are encompassed in the expansion are new winter snow grading projects that are meant to enhance skier traffic. There will be a new surface lift to the Montezuma Bowl and the Pallavicini and Molly Hogan chairlifts will be replaced. Additionally, two summer lifts will be added to the resort to be used for a canopy adventure tours and challenge course for the summer months. The first part of the addition will be focused on The Beavers project and will likely take about three years to complete and finalize, with the best-case scenario of full access including a new chairlift for the 2018/19 season. Following that, the focus will be to update the Pallavicini and Molly Hogan lifts than switching final focus to the summer additions. The need for a more formalized construction plan and locating the necessary financing for the entire project are A-Basin’s next steps in the meantime. A-Basin Ski Area currently employs 70 year-round employees, and approximately 350 seasonal winter workers. A few food, beverage and event seasonal positions are kept during the summer mostly to help with the growing wedding business. The biggest focus of this expansion is to maintain and increase the quality of the experience at A-Basin. A-Basin is hopeful that by increasing the size of the ski area by 50 percent, skier traffic and lift lines will decrease thus enhancing the skier and rider experience. For more information about this expansion, you can view the project documents on the White River National website here.